PHOENIX, May 24, 2017 /PRNewswire/ -- SuperShuttle, the nation's largest airport ride service, will offer customers a ten percent discount during Memorial Day weekend from May 27 through May 29 along with making a donation to the Wounded Warrior Project with every ride. "Memorial Day is always a big weekend for travel and what better way to thank the men and women of our military than to make a donation on their behalf," said Dave Bird, president of SuperShuttle. 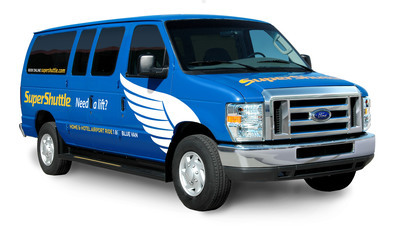 SuperShuttle International, based in Phoenix, Ariz., is a division of Transdev OnDemand, Inc. SuperShuttle serves over 40 airports, carrying more than nine million passengers a year. SuperShuttle also provides ExecuCar sedan service at all airports served by SuperShuttle, including some of the largest in the country: Los Angeles, New York, Dallas/Ft. Worth, Washington, D.C., and San Francisco. SuperShuttle is also available in Toronto and Vancouver Canada, Paris, France, Cancun and Los Cabos, Mexico, and Amsterdam, Holland. Transdev OnDemand, Inc. a division of Transdev based in Phoenix, includes SuperShuttle International and ExecuCar nationwide. Transdev OnDemand, Inc. serves over 80 airports with its multiple service offerings in the on demand service space. It boasts some of the most fuel-efficient fleets utilizing propane and compressed natural gas, as well as partnerships with many leading airlines and travel wholesalers.